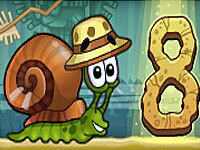 Snail Bob’s back—and this time he’s stranded on an island! Watch out for cannibals! Leave Me A Clone is an exciting puzzle platformer where the player creates clones, solves puzzles and avoids danger! Please put the chicken to the pool in this funny physics game. Crossover between Tripeaks Solitaire Game and Mahjong. Play Kamikaze Blocks 123 Shots Expansion and solve each puzzle level with 1, 2 and 3 shots! Blow up blocks, use anti-gravity and more! Good luck! Simply move the square to the X… again! But now there's double-doors, collapsible floors, and switches. Plus, get medals for completing the puzzle fast and in the least number of moves. In this game, you just click the mouse on the matching tiles that are not blocked by other tiles from the left, right and top. The goal for you is to remove tiles by matching them in pairs in the shortest time. Specially pay attention to the different levels of mahjong piles that you can only remove the piles which are fully exposed. Mahjong Titans is a form of solitaire played with tiles instead of cards. Match pairs of tiles until all have been removed from the board in this classic puzzle game. In Mahjong Titans you just play Mahjong, as u usually do.